CivilizationByzantine, 500 C.E. - 600 C.E. 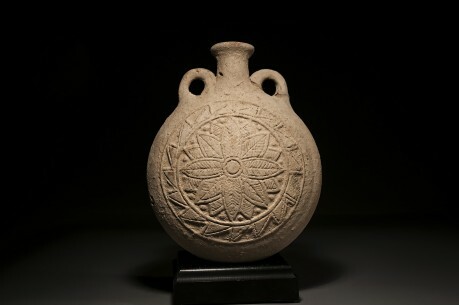 The exquisite florets impressed on either side of this large ceramic flask give a hint as to the special meaning of this piece. This squat vessel would have contained the waters from one of the many religious sites spread throughout ancient Europe. This water would have been brought back to the pilgrim’s home, it’s special contents used only in times of illness or great personal strife. 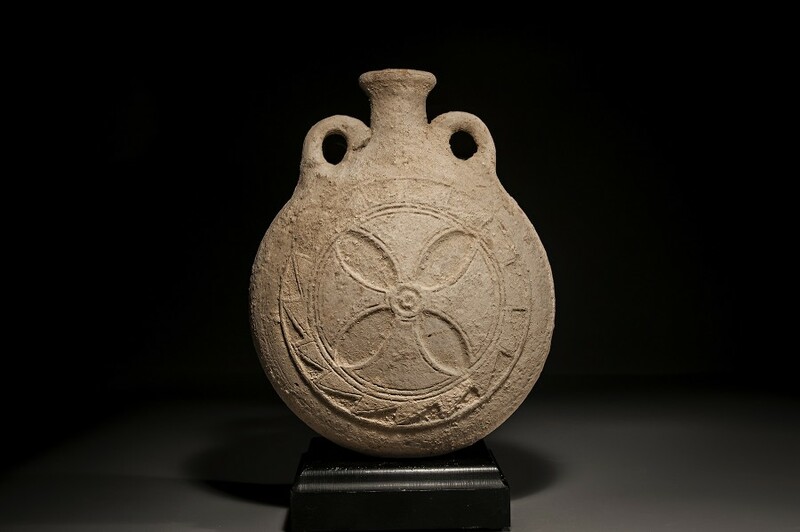 The intricate floral and geometrical patters on its front and back denoted the vessel’s religious significance, while its overall simple design attested to its humble use of carrying water.